How will you say “I am at the top of the world”? By screaming at the top of the voice, by bombarding your friends with calls, or by courting them with a surprise element?! Well, the choices may differ, but most of the people love to nourish a surprise element. 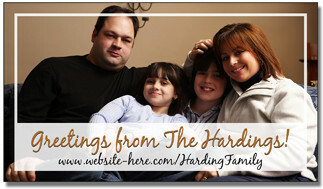 This can be easily cherished through an a3.5 x2 square corner announcement magnet. This magnet can be sought by everyone who wishes to make their celebrations a well-turned out affair. They have to shell out something $0.18 - $0.07 to personalize these magnets.